Faded or pitted paint can be from defective or improperly applied paint or from external causes like industrial fallout or foreign substances sprayed in the air (crop dusters or insect control airplanes). Of course there can be a good argument made that paint should have resistance to a certain amount of air pollution. This type of claim may require the inspection by a factory representative to determine the cause. From my experience, certain colors of paint seem to have more problems than others. Red and white come to mind. Ask the factory service representative if they have experience problems with your particular color. Stand your ground if you feel that the factory should stand good for faded or pitted paint. Get a second opinion from your insurance adjustor. You may even have an insurance claim. If you have your car washed and waxed regularly and keep it garaged it is highly unlikely that you will ever have a paint problem. The manufacturer’s representative can authorize repairs to your car when it is out of warranty. This is called goodwill. Oftentimes the service manager of the dealership can also authorize goodwill repairs. This is a subjective ruling and depends on how close to being under factory warranty you are, how regularly you maintained the vehicle according to factory recommendations, how many cars of this make you have bought, and how you present your request. A car that is out of warranty by just a few miles or weeks can usually be covered under goodwill. If you maintained your vehicle regularly with your dealer and have bought several cars from this dealer, the further out of warranty you can expect goodwill repairs. Presenting your case in a positive, courteous manner helps a lot. Service managers and factory representatives have high pressure jobs and are often confronted by loud, rude, demanding customers. Your claim may be absolutely legitimate, but your chances of success are enhanced by being nice. Some manufacturers offer longer warranties than others. The amount of time and number of miles that a vehicle is covered is important, but the quality of the vehicle is more important. Sometimes manufacturers will increase their warranty coverage to sell more cars because the quality of their cars is in question. Quality trumps length of warranty and I would always advise buying the higher quality rather than the one with the longest warranty. For many years, I’ve worn two hats, one as a Toyota dealer and the other as an advocate for car buyers and owners of all brands. I take stringent measures to separate the two. As a consumer advocate for all car owners, I know that about 8 ½ out of 10 of all cars on the road are not Toyotas. Coming across as a Toyota dealer would appear to be self-serving and would cause me to lose all credibility and objectivity to the vast majority of car owners. Likewise, it would be unseemly for me, wearing my Toyota dealer hat, to remind my prospective customers that the Chevrolet Impala was rated higher than the Toyota Camry by Consumer Reports. In my role as consumer advocate, I’ve written a book, Confessions of a Recovering Car Dealer, write a blog, www.EarlStewartOnCars.com, tweet on @earloncars, post videos at www.YouTube.com/EarlOnCars, and write a column for the Hometown News. I also host “Earl Stewart on Cars”, a weekly radio show on WSVU, with my wife, Nancy. It’s a live call-in talk show that attracts one of the largest audiences in that time slot and car owners of all makes call me for advice and with their comments. I speak publicly all over South Florida at Chambers of Commerce, Rotary and Kiwanis Clubs, churches and synagogues, condo associations, public libraries and any other organization that asks me to speak. I’m proud to say that I’ve been invited to speak at the annual installation banquet meeting of the famous 82nd Airborne Division this December 8. I’ve been interviewed and quoted often by the national media including CNN, Fox, ABC, NBC, CBS, the Wall Street Journal, USA Today, NY Times, Automotive News, US News and World Report, Fortune Forbes, and the Associated Press. I’ve lobbied for better laws and enforcement of existing laws with Florida politicians and I testified before the Florida Senate Commerce Committee in an effort to outlaw the dealer fee. I also work with the Florida Automobile Dealers Association, FADA, in efforts to create an enforceable code of ethics that can improve the sales practices, advertising and the image of Florida car dealers. As a consumer advocate, to be totally objective, I cannot exclude Toyota dealers, the Toyota distributor (Southeast Toyota), or Toyota Motor Sales/Toyota Motor Corp. from criticism. How would it look for me to point out problems with only Honda, GM, Ford, Chrysler, and other non-Toyota dealers and manufacturers? When a Toyota dealer runs an illegal or unethical ad, it’s my duty to point this out to him and the public, just like I would a Honda or Ford dealer. As you might surmise, I get a lot of heat from many car dealers. Incredibly, many accuse of me of being the reason they have such a bad image. The latest Gallup Annual poll again ranked car dealers last in ethics and integrity among all professions. Car dealerships also receive the greatest number of complaints among all retail businesses. Car dealers want to shoot me, the messenger, rather than look in the mirror. Whereas you shouldn’t be surprised that other car dealers don’t like my role as consumer advocate, you might be surprised to know that Toyota doesn’t like it either. Toyota created a contractual document several years ago entitled the Toyota Dealer Ad Covenant, TDAC. The primary motivation for this document which all Toyota dealers must sign and agree to was to keep dealer advertising on the “up and up”. But there’s also language in the TDAC which prevents one Toyota dealer from being critical of another. It makes no difference whether the criticism is true and factual or not. The rationale behind this rule is that Toyota does not want its dealers to “damage Toyota’s brand”. This is what I have a problem understanding. The Toyota brand is based on the quality of the cars they build and the positive perception of the Toyota manufacturer as a company that shows care, concern, empathy and integrity toward their own employees and their car owners. The Toyota brand ranking has always been very high. It slumped slightly after the sudden acceleration recall, but has currently risen back to #1 among all auto manufacturers. The public sees the Toyota brand as separate and apart from the dealer brand. 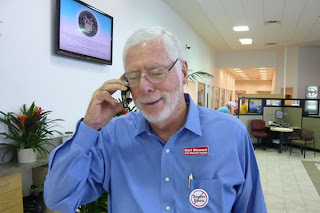 The brand of “John Smith Toyota”, the dealer, is based on how he treats his customers, how he advertises, and how ethically and honestly he sells and services Toyotas. Unfortunately, Toyota dealers’ brand image has been ranked consistently below average by JD Powers’ surveys of all other makes for many years, while Toyota, the manufacturer’s brand has always been very high. When a Toyota dealer damages his dealership brand, Toyota buyers give their business to the dealers with the better reputation. This is the way the free market place is supposed to operate and is what competition is all about. 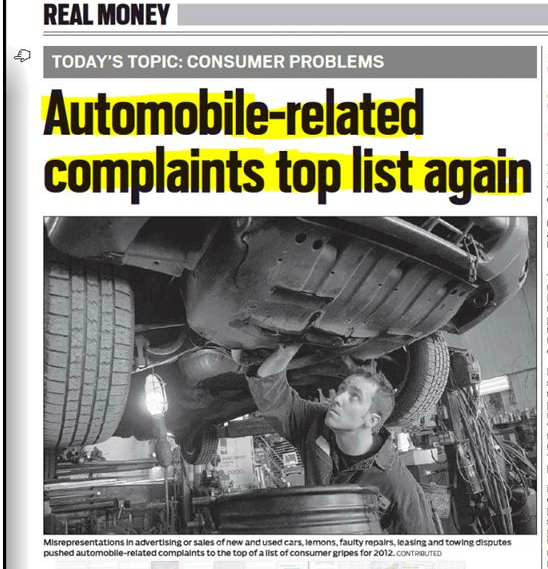 By “keeping quiet” about problems that Toyota dealers have, one prolongs the process of correction. In their advertising, all competing retailers compare their strong points to their completion. It’s survival of the fittest in the marketplace. There is very little, if any, correlation between Toyota’s brand and Toyota dealers’ brand; If there were, how could Toyota’s brand remain the highest and Toyota dealers’ brand remain near the lowest for so many years? Toyota dealers compete against each other to a greater extent than they compete against other makes. Car buyers usually make up their mind which make they want to buy before they select their dealer. Their next step is to choose the dealer that they can most trust to give them a good price and treat them with courtesy, respect and integrity. For all Toyota dealers to be contractually forbidden to speak even the truth in criticism of another Toyota dealer seems almost like a restraint of trade. The car consumer should be entitled to all of the facts about the advertising and sales practices of those retailers that they buy from. Toyota dealers know more about this subject than anybody else. A Toyota dealer can tell you that the Honda dealer is using bait and switch advertising but he can’t say that about his Toyota competitor. But, with that said, I signed the TDAC and I will honor my commitment. Unfortunately, there’s been some conversation recently about gagging the “other Earl Stewart”, Earl Stewart, the consumer advocate. It’s been suggested to me that I may be in violation of the Toyota Dealer Ad Covenant if I post a YouTube video of another Toyota dealer’s unethical TV ad on www.YouTube.com/EarlOnCars, a website that Earl Stewart the consumer advocate uses to expose illegal and unethical advertising by car dealers of all makes, including Toyota. Toyota is the largest seller of new cars in this market and for me to exclude them from criticism would come across as wrong and self-serving. I didn’t forfeit my first amendment rights when I became a Toyota dealer. I remain a U.S. citizen and retain my rights of freedom speech as an individual and as a member of the press (my book, radio show, blog, and Hometown News column). I have to draw a line in the sand if anyone tries to take away my constitutional rights. (1) Don’t believe automotive ads. Often the extremely low price or discounts apply to only one car or to a very select group that you won’t fit in. It is best to just ignore these ads. (2) Never buy a car on impulse on the first day you start shopping. There is something about a new car that excites people and appeals to them on an emotional level. Go home and think about it this major purchase.. Research the model of car you looked at and the price on the Internet. You should take at least a week or two in the decision making process before you buy a car. 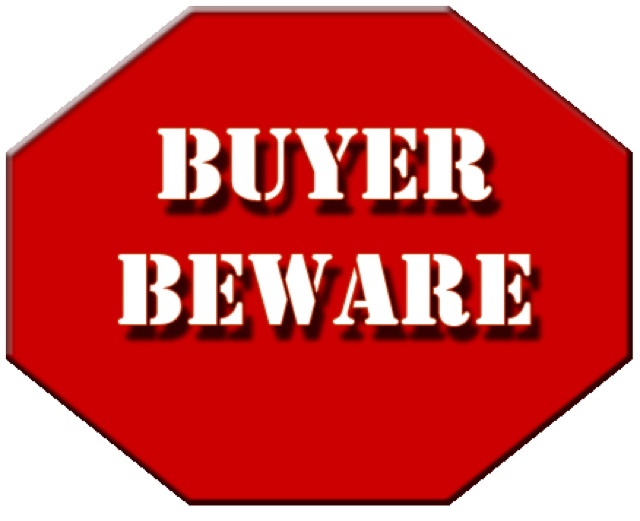 (3) Don’t trade your old car in to the dealer you buy from without shopping its value.. The dealer can make it appear that he is giving you a lot of money for your trade by taking some of the high markup on the new car and showing it as part of the appraisal value. Check Kelly Blue Book (kbb.com) and Edumnds.com on the Internet. Get at least 3 bids from other dealers of the same make for your trade. Make the purchase of the new car and the sale of your trade two separate transactions. (4) Don’t use the dealer’s financing without checking with your bank or credit union. Shop for the best price on your financing just like you shop for the best price on your trade-in and the best price on new your car. Oftentimes credit unions, which you don’t have to be a member of, have the best rates. (5) Don’t believe it when they say “This low price is good today only”. This is one of the favorite ruses used by car sales people and dealers. In 99% of the cases, you can buy that car for the same or an even lower price later. The only time that you can’t is when factory incentives expire on a certain date, typically at the end of the month. If that is the claim, demand to see the written factory incentive by the manufacturer. (6) Don’t agree to “Make me a written offer with a deposit and I will submit it to my manager”. This is to get you psychologically engaged in the buying process. Once you have signed a buyer’s order and written out a check, you will remain in the dealership for a while and are more likely to buy. The salesman knows that. Insist on getting their best price on the car you have selected. You should never make the first offer. Once you have their price, compare it with at least 3 other prices from other dealers on the same make and model. (7) Never agree to "take this new car home and see how you like it?". This is the famous “puppy dog” technique so named because once you take a puppy dog home overnight, who has the heart to return it the next day? You, your neighbors, and friends will see that shiny new car parked in your driveway. It sure looks good! How can you explain to anybody that you didn’t buy it? (8) Don’t commit to “buy the car if you can get my monthly payments below $___.__” Most of us tend to think in terms of our monthly budgets. We might feel that we can afford a new car as long as it costs us less than $350 per month, but there is a big difference between $350 per month for 36 months and $350 per month for 72 months. I recommend that you finance a car for no more than 42 months, preferably 36. (9) Don’t believe “You have my word on that.” Be absolutely sure that every promise or commitment made to you by your sales person is in writing and signed by a manager. No exceptions! 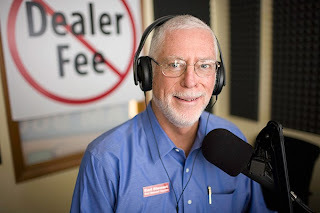 (10) Don’t accept that “All dealers charge a dealer fee and we can’t remove it from the invoice.” In fact, all dealers do not charge a dealer fee. I don’t. But unfortunately most do charge this “gotcha” ranging from $495 to $1,000. It is true that Florida law (which should prohibit dealer fees entirely) requires that the dealer fee appear on all invoices. If you charge just one customer a dealer fee, you must charge everybody. The state legislators, in their infinite wisdom, decided if a car dealer is going to take advantage of even one buyer, he must take advantage of all of the buyers….never discriminate. But the loophole in this stupid law is for you to demand that the dealer reduce the price of the car by the amount of the dealer fee, making it a wash.
All of this information and much more is contained in my book, “Confessions of a Recovering Car Dealer.” I donate 100% of the sales of the book to charity as I make my living selling cars, not books. Many local groups have used this as a fundraiser, by having me speak at their meeting and receiving all of the proceeds from the books purchased that day by their members and guests. You can purchase my book on www.Amazon.com. I know I will never win a popularity contest among other car dealers, but I am ashamed of the ethics of our industry and am dedicated to doing everything I can to change it. I’ve been writing this column/blog and broadcasting my radio show, Earl Stewart on Cars, for about eight years. I sometimes feel that I’m “preaching to the choir” when it comes to advising people how to avoid getting ripped off by a car dealer. You, my readers and listeners, largely fall into the category of the educated and sophisticated, “aware” buyer. Most of you aren’t taken advantage of when you buy or service your car because you won’t allow it. Unfortunately, there are enough uneducated, naive, and otherwise vulnerable consumers to feed those unethical car dealers who prey on the defenseless among us. All you have to do is read some of the car ads in the Saturday (the biggest selling day for most car dealers) auto classifieds. To the educated, sophisticated buyer, these ads are actually funny if you can forget the fact that so many fall prey to them and are taken advantage of by the dealers. For example, it’s hard for you or me to believe that anybody would respond to an advertisement without reading the fine print. Many dealers today are advertising prices that, when you read the fine print, are understated by many thousands of dollars. When you or I see a dealer stating that the car price is plus “freight”, we are educated enough to understand that the law requires that the freight cost be already included in the price. A shrewd buyer knows that “dealer list” is not the same thing as MSRP and that a large discount from “dealer list” means absolutely nothing. We know that the “lowest price guarantee’ is worthless if the dealer reserves the right to buy the car from the other dealer that offers a lower price.